A 100 million-year-old chameleon found in amber reveals that these lizards were scurrying around during the Dinosaur Age. The oldest known chameleon has been discovered in a piece of amber from Myanmar in Southeast Asia. The fossil, dated to 100 million years ago, is an incredible 78 million years older than the previous oldest chameleon on record, according to a study, published in the journal Science Advances. In addition to significantly pushing back chameleon origins, the fossil reveals that the infant lizard somehow became stuck in the resin of a coniferous tree during the Dinosaur Age. The predicament led to the eventual death and preservation of the chameleon. The amber collection, housed at the American Museum of Natural History, also contained a fossilized gecko and another archaic lizard, both of which will be described in a future study. At least 10 other lizards were found in the amber, but they were not as well preserved. "It was mind-blowing," co-author Edward Stanley said of when he saw the fossils for the first time. "Usually we have a foot or other small part preserved in amber, but these are whole specimens - claws, toepads, teeth, even perfectly intact colored scales. I was familiar with CT technology, so I realized this was an opportunity to look more closely and put the lizards into evolutionary perspective." Video: How Can Something Be A Plant And Animal? Stanley is a University of Florida postdoctoral student of herpetology at the Florida Museum of Natural History. Using a micro-CT scanner, he and his team looked inside the amber pieces without damaging the fossils. The scientists then digitally pieced together the tiny bones and soft tissues that they spotted. "These fossils tell us a lot about the extraordinary, but previously unknown diversity of lizards in ancient tropical forests," Stanley said in a press release. "The fossil record is sparse because the delicate skin and fragile bones of small lizards do not usually preserve, especially in the tropics, which makes the new amber fossils an incredibly rare and unique window into a critical period of diversification." The fossil of the chameleon challenges the view that these animals first evolved in Africa. It also suggests the evolutionary order of some of the lizard's most distinctive features. 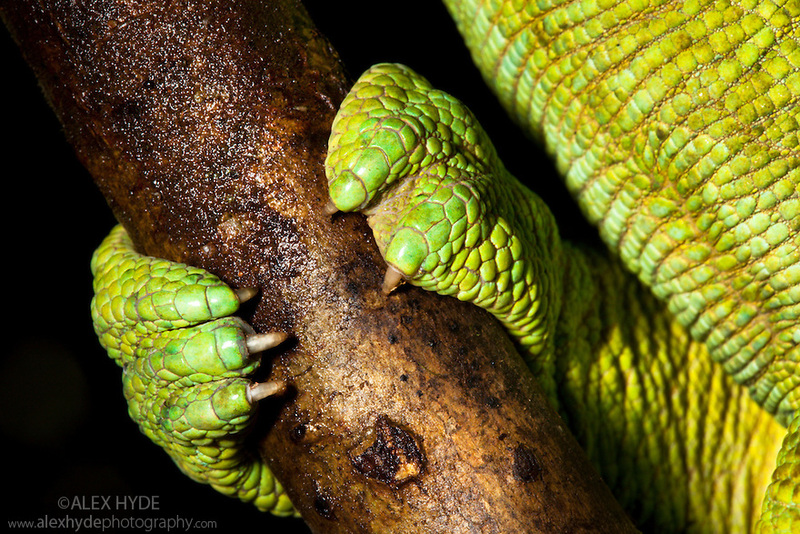 For example, the amber-trapped lizard has the iconic projectile tongue of modern chameleons, but it had not yet developed the unique body shape and fused toes specially adapted for gripping that we associate with chameleons today. The ancient lizards have modern counterparts living in the same region, providing evidence for the inherent stability of tropical forests without significant human intervention. "These exquisitely preserved examples of past diversity show us why we should be protecting these areas where their modern relatives live today," Stanley said. Ancient amber fossils from Myanmar in Southeast Asia reveal the preserved remains of lizards.